As the whodunit mystery surrounding the shoot-down of Malaysia Airlines Flight 17 nears the 1-1/2-year mark, the Obama administration could open U.S. intelligence files and help bring justice for the 298 people killed in eastern Ukraine on July 17, 2014. Instead, a separate mystery has emerged: why has the U.S. government clammed up since five days after the tragedy? Immediately after the crash, senior Obama administration officials showed no hesitancy in pointing fingers at the ethnic Russian rebels who were then resisting a military offensive by the U.S.-backed Kiev regime. 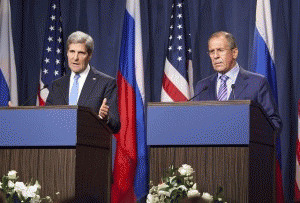 On July, 20, 2014, Secretary of State John Kerry appeared on TV talk shows claiming there was a strong circumstantial case implicating the rebels and their Russian backers in the shoot-down. After mentioning some information gleaned from "social media," Kerry said on NBC's "Meet the Press": "But even more importantly, we picked up the imagery of this launch. We know the trajectory. We know where it came from. We know the timing. And it was exactly at the time that this aircraft disappeared from the radar." Two days later, the Office of the Director of National Intelligence released a "Government Assessment," also citing "social media" seeming to implicate the rebels. Then, this white paper listed military equipment allegedly supplied by Russia to the rebels. But the list did not include a Buk missile battery or other high-powered anti-aircraft missiles capable of striking MH-17, which had been flying at around 33,000 feet. The Los Angeles Times article said: "U.S. intelligence agencies have so far been unable to determine the nationalities or identities of the crew that launched the missile. U.S. officials said it was possible the SA-11 [the designation for a Russian-made anti-aircraft Buk missile] was launched by a defector from the Ukrainian military who was trained to use similar missile systems." That uncertainty meshed somewhat with what I had been told by a source who had been briefed by U.S. intelligence analysts shortly after the shoot-down about what they had seen in high-resolution satellite photos, which they said showed what looked like Ukrainian military personnel manning the battery which was believed to have fired the missile. There is also an important distinction to make between the traditional "Intelligence Assessment," which is the U.S. intelligence community's gold standard for evaluating an issue, complete with any disagreements among the 16 intelligence agencies, and a "Government Assessment," like the one produced in the MH-17 case. As former CIA analyst Ray McGovern wrote: "The key difference between the traditional 'Intelligence Assessment' and this relatively new creation, a 'Government Assessment,' is that the latter genre is put together by senior White House bureaucrats or other political appointees, not senior intelligence analysts. Another significant difference is that an 'Intelligence Assessment' often includes alternative views, either in the text or in footnotes, detailing disagreements among intelligence analysts, thus revealing where the case may be weak or in dispute." In other words, a "Government Assessment" is an invitation for political hacks to manufacture what was called a "dodgy dossier" when the British government used similar tactics to sell the phony case for war with Iraq in 2002-03. Yet, despite the flimsiness of the "blame-Russia-for-MH-17" case in July 2014, the Obama administration's rush to judgment proved critical in whipping up the European press to demonize President Vladimir Putin, who became the Continent's bete noire accused of killing 298 innocent people. 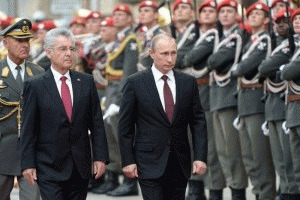 That set the stage for the European Union to accede to U.S. demands for economic sanctions on Russia. The MH-17 case was deployed like a classic piece of "strategic communication" or "Stratcom," mixing propaganda with psychological operations to put an adversary at a disadvantage. Apparently satisfied with that result, the Obama administration stopped talking publicly, leaving the impression of Russian guilt to corrode Moscow's image in the public mind. But that conclusion -- if made public -- would have dealt another blow to America's already shaky credibility, which has never recovered from the false Iraq-WMD claims in 2002-03. A reversal also would embarrass Kerry, other senior U.S. officials and major Western news outlets, which had bought into the Russia-did-it narrative. Plus, the European Union might reconsider its decision to sanction Russia, a key part of U.S. policy in support of the Kiev regime.